It is much cheaper (50–70% cheaper) to fly to Europe, the UAE and sometimes North America than it is to fly within the African continent. There’s a couple of challenges bundled in there. Visas and free movement of people are the subject of many African Union gatherings and regional meetings of states. The continent’s wealthiest man, Aliko Dangote’s bemoaned that he has to get 38 visas to travel across Africa. Given the power of his Nigerian visa, it should come as no surprise North Americans have an easier time moving around Africans than he or I do. The “all-Africa” passport was launched with fanfare in July 2016 in Kigali, Rwanda with heads of state, ministers and top diplomats topping of the list to get the border-opening booklet. I’m grateful, that we live in a world where the main way Africans travel across borders is virtually. 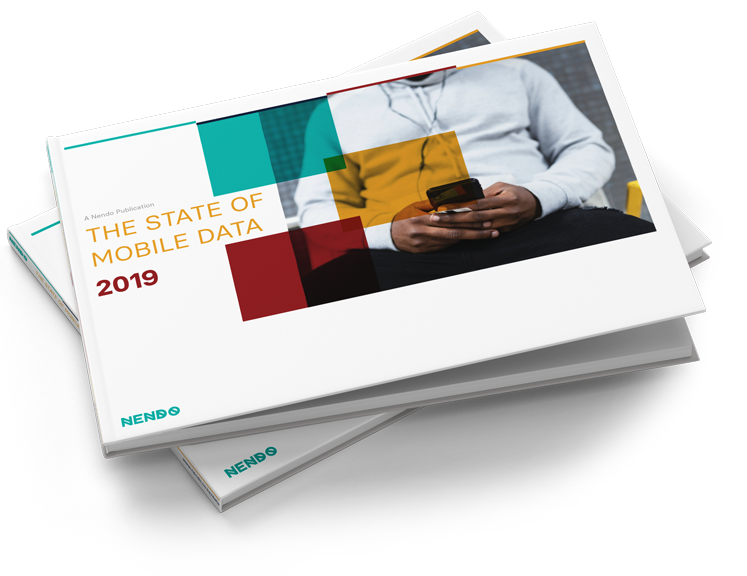 Despite their own digital enclaves, a digital identity continues to crop up and form around generation Y and those with access to the internet, specifically, and mobile phones generally. Siyanda Mohutsiwa and her journey from the timeline to the TED stage is a good example. Of this new digital economy, one of my favourite quotes comes from Wizkid who said “…my music travel, no visa.” Speaking to the power and vision of the connected and digital economy. He is welcome and has seen crowds across the continent that don’t speak his language but sing his lyrics. Vision, in this interconnected age, grows in depth and meaning. Especially when it is African-led. Even as times continue to change and the cost and ease of travel changes, Africa still shares some common challenges that we’re solving as independent states and as a collective continent. Besides the movement of people, healthcare continues to be one of Africa’s greatest challenges. Strides have been made, but for the connected, this doesn’t often register as a place to look besides ‘viral’ medical appeal campainand personal circumstances. I, for one, didn’t have much of a connection to healthcare until 2012. Between 2012 and 2015 I began a consulting project as Digital & Creative Advisor for MamaYe.org, a 5-year maternal and newborn healthcare project across 5 countries. For me, it represented an unprecedented opportunity to discover the continent and export my ideas and vision within the project. Government: engaging with policymakers, legislators and ministries. Ensuring that coherent and comprehensive masterplans are conceptualised and rallying political capital to implement them. Healthcare: From public service to practitioners, seeking to engage those who deliver care to citizens. From deans at medical schools, all the way to training midwives and community health workers. The spectrum explores and includes everything around primary caregivers and the value systems of logistics, education, storage and seeks to deliver healthcare outcomes. Mamaye’s approach, with advocacy as the tip of the spear, aimed at the public. The public, the hypothesis presented, were the ‘missing middle’ in the equation involving government and the healthcare sector. The public, with local communities, taxes and active participation, could drive demand and accountability, even from local government. Engaging with the various forms of government to fulfil the central mandate when it comes to healthcare outcomes. The public could, in the right circumstance, instigate demand-side outcomes. Publics are also the recipients in the healthcare process. They can be mobilised, engaged and rallied to participate collectively raising their expectations of maternal and newborn healthcare and survival. At a broader level, MamaYe was not isolationist. It still engaged both the government and healthcare sectors, respectively. One key approach was reframing the narrative in maternal and newborn healthcare. Shifting from severity and mortality to success and survival. While it might sound obvious, this vision would bring strong consequences. It was not just paying lip service, either. It meant taking complex Excel spreadsheets of data and finding a narrative that was able to convey the facts in a compelling way, often data visualisation, while still evoking a sense of urgency. All the while not succumbing to a focus on mortality but a balance including best practice. The vision would need a narrative-driven approach to ensure that the core ideas behind the campaign would ‘stick’ through evidence-based solutions and strategies. Seeing this through, from finding brand & creative partners across the continent, to delivering a Pan-African digital strategy and coaching and leading teams across the continent would help me appreciate the opportunities technology has brought while exposing me to the complex challenges of delivering healthcare on the continent. Ultimately, what I’m grateful for is the chance to travel. I ended up travelling to 8 countries serving a committed global team and ambitious in-country teams. It involved working alongside doctors, nurses, midwives, ministers, development partners, youth groups and the public exploring how mobile technology, the internet, design and storytelling would advance MamaYe’s goals. My excitement and optimism were fixed onto mobile penetration across the African continent. In Sierra Leone, for instance, a public-private partnership that I put together with Africell, the largest telco in the country, saw the firm donate billboards and out-of-home signage, ad-space on the city’s largest radio station and resources behind the locally-inspired advocacy ‘ask’ presented to the public. Blood donation to plug a seemingly perpetual shortfall for mothers suffering post-partum haemorrhaging and other complications was part of realising the country and Sierra Leone’s unique MamaYe outcomes. Technology and mobile connectivity is a key part of realising the challenges of African healthcare. We still have far to go. Far, far to go. In Johannesburg in 2011 at a keynote for the Mobile Web Africa, I’d been asked to define what would make the future of Africa’s Silicon Savannah. There I highlighted a future built on two kinds of software developers. These were the young men and women building on the inflows of donor funding for hackathons and challenges. They were talented and pragmatic digital creators who would bag $10k prizes and build and ship prototypes in 48 hours or work in 2–3 month sprints to take ideas to market. They could shift from a focus on water to potholes to SMS updates in the span of a year. It proved to build out developers with experience in a broad set of skills and familiarity with a wide set of challenges and problems. Criticism might say that the concept led to a bevy of solutions that were an inch deep and a mile wide. Product developers didn’t really make the headlines as much. They weren’t even always the centre of attention in the tech hubs. These were software developers who fell in love with a problem and the process for solving it. The larger the problem, the more compelling the proposition and the higher the chances of failure. Nevertheless, the more they persisted. Payments. e-Commerce. Connectivity. The cloud. Hard-won battles with key issues led to products and services that are around, and if not, the teams that created them may still be. I stand by what I said 6 years ago. Between the two, there is none that is better or worse than the other. Healthcare’s come a long way on the continent. The problems in that sector aren’t obvious and might not bring a swarm of young minds into a room to solve them. They’d need someone to head out to do a design immersion into a community that’s repeatedly finding stockouts of key drugs and seeking an inventory system to manage them. The vision, at times, can bring the people and catalyse change, despite the challenges and obstacles. Last week, I had the chance to reflect on this and did so at The Lancet’s launch of their Commission on the Future of Health in Africa. It brought back all of the above memories. 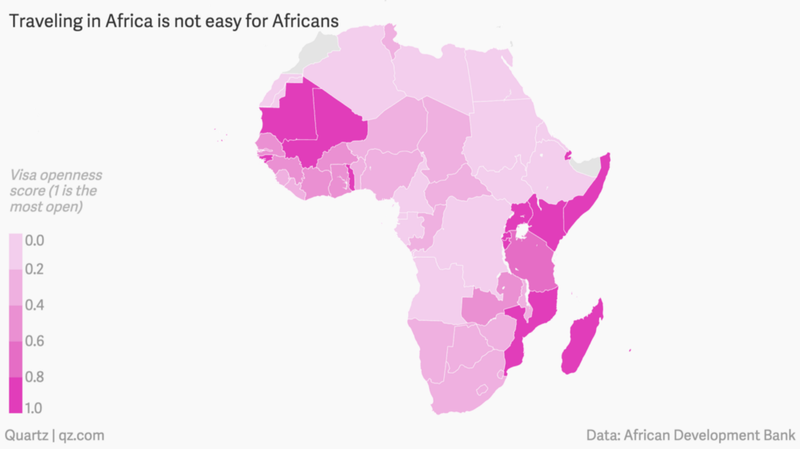 Their expectations and challenge to the rest of the continent rang true for both technology, as the very concept of “Silicon Savannah” comes under scrutiny from the rest of the continent. Hearing from global health advocate Professor Peter Piot, excerpted from Unseen Enemy where he speaks to the transformational and viral power of infectious diseases in Africa. As much as developers and today’s storytellers are putting their work and minds to making things go viral, this speaks to a much different sense. With a much more dangerous set of challenges. Influenza finds its origins in birds. HIV’s origins have been traced to a chimpanzee group while ebola’s (origins) are thought to be attributed to a species of the fruit bat. During my time at MamaYe, one story captivated me and formally introduced me to The Lancet. In the midst of transforming everyday people who, at times unbeknownst to them, were having a tremendous impact, I came across the story of Tanzanian Dr. Godfrey Mbaruku. The story of his quiet, modest voice telling a powerful and enchanting tale of his time serving in a maternity ward in Kigoma in the remote western parts of Tanzania caught Ann Pettifor, my client’s attention. His story, first seen in his own eyes as a punishment — being sent far from the major cities — led to two decades of improving outcomes for mothers & babies among Kigoma’s 1.2 million inhabitants. The Commission’s focus on an African-vision captivates me for a number of reasons. It centres on Africa’s expectation that by 2050, the continent will have 450 million people under the age of 25. 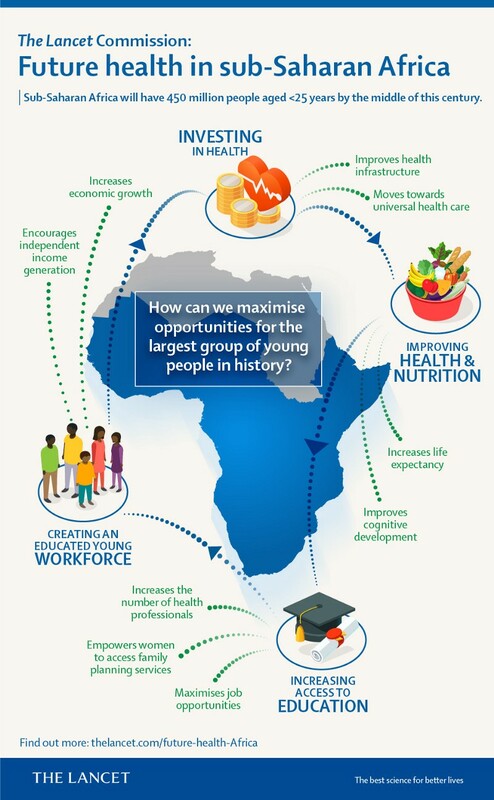 Referred to as Africa’s demographic dividend (or disaster if not managed appropriately) it is a rallying cry that will impact political leaders, healthcare practitioners and private sector as well as publics. The Commission’s report focuses on ways to engage this audience in more than healthcare. On the day of the launch, I was captivated by the focus on vision and consensus at a high level. There is even an explicit mention of the nuance and ownership required from country-to-country to fulfil that mandate. The incorporation of “evidence-based optimism, with caution” strikes a chord with me. Ultimately, I’m of the opinion that the stories can help unpack the deeper insights, brought about by reflection and calculation, while making an invitation for collaboration and cooperation in future. There are very real challenges that I feel Product designers, developers and ‘makers’ can seek to solve for. Bright Simons is someone that I believe has successfully combined this in his life’s work. Initially focused on fighting counterfeit pharmaceuticals in Nigeria, he and his company mPedigree have evolved through the last decade to expand and solve larger and larger-scale problems in other emerging markets like India. They’ve built on their vision, local contexts and framework. You can listen to an interview I did with Bright in Nairobi at the launch of the Commission at the African Population Health Research Centre. In Kenya, as an example, Bright predicts that in the next 3 years, every one of the country’s seeds will be tracked from the supplier (overseas or local) to the soil. That’s the power of mPedigree in action. Fighting counterfeits. This will be available to the farmers, corporations and anyone with an interest in between. Africa-based and home-grown solutions, that adapt to the realities of each country and community at the core are required in healthcare and any interventions that touch on both. For Kenya’ we’re fortunate to have M-Pesa and the way, like a rising tide, it has “floated all boats” for a new ecosystem to emerge. Be those healthcare providers, practitioners, policymakers and the ecosystem. Be it models such as M-Tiba, allowing for the saving of small amounts and denominations for healthcare treatment or TotoHealth, sending just-in-time alerts throughout a mother’s journey through from pregnancy to the first 1,000 days. A key milestone. There’s every reason to believe that achievement of good health should bre a political and investment priority for every country — it contributes to economic and sustainable development. One key aspect of the report that I found a challenge to be embraced is the resistance to the idea that “more of the same” will not get us to where we need to be by 2030. This is a direct affront to the status quo that invites the imagination not just of the health sector or the government but the public and the ‘disruptors’ elsewhere. As various industries change dramatically in the face of connectivty through phones, internet and information, we’ve got a chance to play a role similar to MamaYe. A demand-side role as the largest constituent in the healthcare ecosystem — the recipients. And I believe it will all start much like where we did. Not with crossing borders, but with a story. With a vision. Here’s hoping we can get behind, tease out, shake and put on the values that the Commission has put forward. And in the internet’s spirit of open access and open source, remix and build on it. Every good story has that at its heart.